There is a great deal written about what ancient people thought about life, death, religion, and how they viewed the world around them. These are all personal views, which quite often have little basis in fact. One archaeologist thinks that Stonehenge was a Temple of Death, while another thinks it was a Neolithic Lourdes. One basis his belief on the fact that there are many people buried within and around Stonehenge, but then again, his specialty is in ancient death practices. The other, basis his belief on the fact that many people seem to have died of some trauma. Many head wounds were found, and such people as the Amesbury Archer with his missing knee cap and his abscessed jaw. He believes that people were brought there to be healed. He may not be far off. The 19 Bluestones in the Horseshoe gave Eadha or White Poplar in the Ogham tract. It is connected to healing and rebirth, and when the wind blows, the leaves rustle, giving that small still voice of God. Important medicines were made from it. They may both be right, or not. There are hundreds of theories about Stonehenge, ranging from, it was an alien’s landing pad, to, it was a place for human sacrifice. The truth is, no one really knows what it was for, although the people there do seem to have taken an uncommon amount of notice of the objects in the sky, and the calendar. Obviously this was very important to them, and they left their monuments, stone markers, tumuli, tumps, mounds, long barrows, and other such constructions all over the landscape in the UK and Ireland. Each one of these things seems to have been placed at that very spot on purpose, creating interesting geodesy. As an example, Callanish is 5° north and 5° west of Arbor Low, which is 2° north of Stonehenge. The Callanish stone circle and its outliers look like a big winged, long legged bird. Arbor Low’s recumbent stone ‘circle’ is white quartz and egg shaped. Stonehenge is 1° east of Glastonbury Tor. Creswell Crags, and its interesting bird carvings, is 9° west of Heligoland. These are only a very tiny bit of what exists on the landscape, there are hundreds of other examples. Sure looks as if someone was mapping the place methodically. In later times, many of these sites were built over with churches, chapels, shrines, castles, and Templar buildings. They erased, or tried to erase, the ancient constructions, but kept the geodesy alive, and the Knights Templar were likely the only ones who knew and understood the geodesy. This didn’t just happen in the UK and Ireland, it was also created all over Europe, and all the way back to the Middle East. Actually, this can be found all over the world, and all these places appear to connect together, belonging to one world mapping system. There was a group of people who wanted a world map. The only people I can think of, who would need such a thing are, navigators, traders, merchants, and explorers, looking for minerals and anything else of worth. No doubt sent out by rulers of established societies. It has often been said that farmers did not need a calendar to plant or harvest by, which is quite true, the weather conditions and the ripeness of the crop tells me that. But if you were a navigator in ancient times, it would be very important to know which month it was. Just because it may be sunny and warm on land in March, the oceans are not that accommodating in March. However, I thought I would have a look at some things which appeared somewhat simpler, to see could I catch a glimpse of that ancient mind. The first is a necklace from the West Kennet Long Barrow, possibly 2500 BCE, and the other is the original core or mound of Silbury Hill. 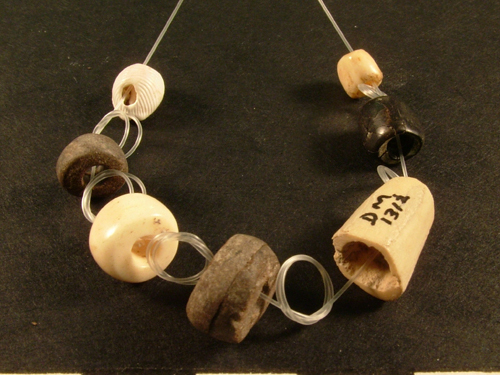 This necklace is incredibly primitive looking, what with the stones and the bone. The objects are: a piece of bone, a tooth, a piece of tusk, a shell, and three pieces of shale. One piece of shale is very dark, and looks as if it has been polished. The shale wheel, at the front, has been made so that the line between two layers of shale falls in the centre of the wheel. It may also have some decoration on the side. It can be seen that the craftsperson put a lot of work into making nice round shapes. I couldn’t imagine why someone would put such a thing together, and yet it must have had an important meaning, since it was buried with someone in the West Kennet Long Barrow. The piece of bone kept tugging at my brain, until I realized that all these things have the same function. Stone is the bones of the Earth, creating its contours. All animals have bones which gives them their structure and shape. Snails have no internal skeleton, their shell is their exterior one. A tooth and a tusk are extensions of bone. Even after everything else has decayed, the skeleton with its teeth and tusks remain, and would have been seen as belonging with all these ‘bones’. All bones of different varieties. So, primitive looking, but well thought out, and many hours spent creating the different pieces. The four light pieces may have represented the four Albans, which are the two Solstices and the two Equinoxes. The dark pieces, plus the person wearing it, would then represent the four Fire Festivals, February 2, May 1, August 1, and October 31. The deceased would then represent that dead period between October 31 and December 21. October 31 was the time of the year when the veil between this world and the Otherworld was believed to be the thinnest, and that one could communicate with one’s dead ancestors at that time. The tooth is December 21, the Coming of the Light, and Cernunnos, when much pork seems to have been consumed at Durrington Walls. The polished shale is February 2, the Feast of Brigid, the bone is the Spring Equinox, the central wheel is May 1, which festival was celebrated by bonding of male and female. The tusk is June 21, the shale wheel, August 1, and the shell is the Fall Equinox, and so back to October 31. A fitting necklace for someone going to their grave. Quite possibly made just for this purpose, not something worn in life, only in death. Silbury Hill also has such a puzzle at its original core, which was a simple mound. One statement I read said that nothing of significance was ever found at the core of Silbury Hill, only sarsen, flint, clay, topsoil, moss, turf, fresh water shells, ox bones, antler tines, Oak, Hazel and Mistletoe. Those last three made me perk up, seems there may have been something very significant there. These various items can be put into groups. Sarsen and flint, clay and topsoil, gravel and shells, moss and turf, ox bones and antler tines, Oak, Hazel and Mistletoe. Since Mistletoe is a parasite which lives on other trees, this can be seen as six groups of two, even though there are thirteen separate types of objects. They represent 12 Solar months and 13 Lunar months, which take almost the same length of time. Mistletoe was gathered with golden sickles at the full Moon closest to the Winter Solstice. Stone is the bones of the Earth, covered by clay and topsoil, which is covered by moss and turf. Oak and Hazel grow above the moss and turf. Mistletoe grows on Oak. Gravel belongs with water. Wherever you find gravel, water once flowed there. The shells also belonged to the water element. The two land animals, cattle and deer, represented the Summer Lord and Winter Lord, but also two prime sources of meat, hides and all the other parts which were used for various things. The stones found were sarsen and flint. Sarsen was used to build all the megalithic constructions in the area. Flint was used to make all common tools which were essential for day-to-day living. Clay was used to make pottery, and food such as a bird or fish were often wrapped in plantain or some other leaves, and then covered in clay. It could be placed close to the fire or in a ground pit for slow cooking. A slab of clay was placed in boats, and used as a hearth for cooking on. It was also used to make clay tablets to write on. Topsoil is what you grow your crops in. Moss had many uses for personal hygiene, for insulation in shoes and boots, caulking in houses and boats, and had medicinal uses. Turf is where you find edible plants, roots, herbs, mushrooms, berries, medicinal plants, items to create dye, and grasses to weave into mats, bags and other containers. Turf was used to roof some buildings, even turf huts were created. Cattle and deer, live on the turf, not only to wander around on and sleep on, but to eat also. The Oak, Hazel and Mistletoe are a dead give away as far as Druids are concerned. These three are among the most sacred in the Ogham tract, where each is given a chieftain designation. Oak represents solid foundation, solid protection, the Doorway to Enlightenment/the Mysteries. It represents the Druids themselves, they were the Doorway to Enlightenment/ the Mysteries, they were the teachers. The Hazel brings to mind the Hazels of Wisdom, which is just shorthand for all the knowledge the Druids had. Mistletoe was called All Heal and is used in cancer drugs today. At that time it was considered a fertility symbol, and was seen as a spiritual connection to the land. On the bottom of a Mistletoe berry, can be found four semicircles around a central dot. These represent the four cities of the gods, Filias, Finias, Gorias, and Murias. These represent the four cardinal directions, and the four ancient elements. Earth in the North, Air in the East, Water in the West, and Fire in the South. The central dot is the etheric centre which joins together the three planes of existence, past, present and future. This is the basic symbol for the Celtic equal armed cross, which can also be shown as the upright pentagram. The point at the top symbolizes the supremacy of the spiritual and divine over the world of matter, shown by the other four points. The most sacred Mistletoe grows on Oak, which doesn’t happen very often. Because Oak is so long lived, it is a powerful fertility symbol. Mistletoe on Oak would have been considered the most potent. 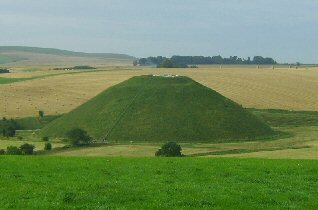 “Silbury Hill is just one in a line of natural and artificial mounds along the St. Michael’s ley, which itself has a strong association with astronomy. Perhaps it is a coincidence then that Silbury Hill and Stonehenge combine with Glastonbury, the ‘Sacred Heart of England’, to form a vast right-angled triangle across the landscape. 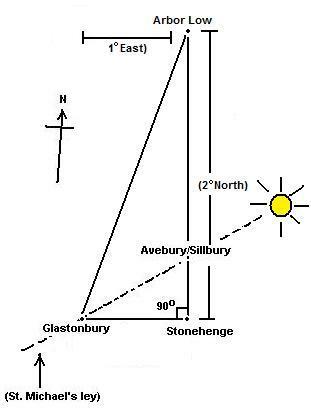 At the same time as the hypotenuse of this triangle reaches from Avebury/Silbury to Glastonbury, the opposite side is also part of a large geometric alignment, being one of the edges of the great Decagon first observed by J. Michell, while the adjacent side continues north to Arbor Low, and south to Mont St. Michel in France. The line of the Sun would be Sunrise around May 8th, the Feast of St. Michael. The map below shows what would happen if the water in the Kennet River was five metres higher, which it may have been at the time. Even Glastonbury Tor was surrounded by marsh and water in ancient times. Silbury Hill now makes perfect sense. If you were sailing up the river, you wouldn’t be able to see Avebury because Overton Hill and Woden Hill would obstruct your view. Silbury Hill shows you the correct channel to sail up to Avebury Ring, which may have had a canal around it. The ditch there would certainly be wide enough and deep enough to accommodate small and medium sized boats. 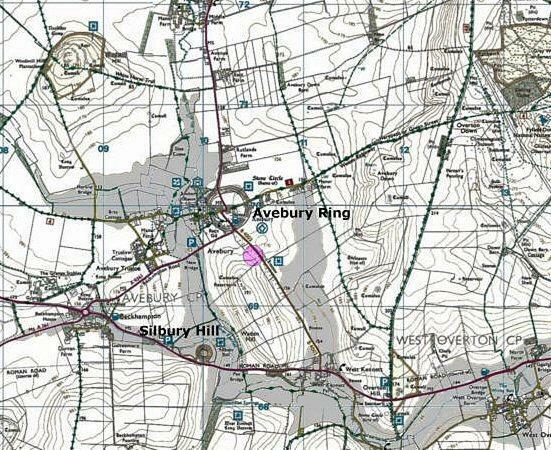 So, Silbury Hill became a large beacon hill on the old road systems, whether you were traveling by land or by water. 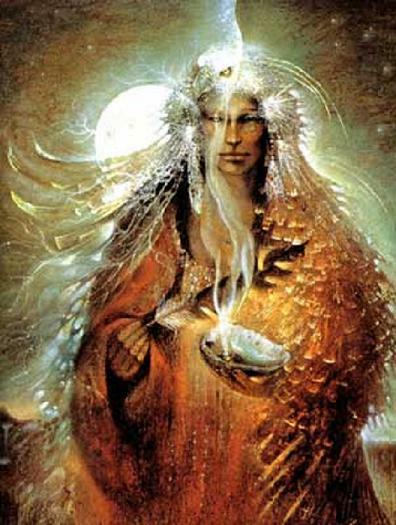 Considering how many things it is connected to, it would certainly have been a sacred connection to the land. A major geodesic marker. Going NE on the St. Michael’s ley would eventually take you to Yarmouth, Heligoland and other places in Scandinavia. Going SW on the St. Michael’s ley, it connected to the St. Michael-Apollo line at St. Michael’s Mount, which could take you NW to Skellig Michael in Ireland, or SE to Mont St. Michel in France, and all the way to Mount Carmel in the Holy Land. Quite a network. Strange that we still refer to such a thing as a ‘network’. That’s exactly what those ancient astronomer, surveyor, navigators created, a network, marked by mounds, standing stones, circles, long and round barrows, ponds, springs, and sometimes trees as guide posts. There are interesting things which happen at Silbury Hill. I watched a video online which showed Sunrise on the Fall Equinox at Silbury Hill. The Sun looked as if it were rolling up the hillside, and when it reached the top, it went sailing off into the sky. Someone knew the angle of this Sunrise and built the hill to match. Around May day, if you stand on Woden Hill, looking right at the top of Silbury Hill, you will see the Sun set right into the horizon and Silbury Hill at the same time. Someone knew how high to make the hill to obtain this effect. So…….what is up on Woden Hill? I’ve never heard of any archaeological investigating going on there, but Woden Hill is the best command post in the area. From there, you could see Windmill Hill, Avebury Ring, the Sanctuary, Silbury Hill, the West Kennet long Barrow, and all the way to Stonehenge, as well as the river system. Some theories have it, that Silbury Hill had a spiral path going around it from top to bottom. This would make it look like a snail from the air. Snail in Welsh is, malwoden, which could mean Woden’s Mill, and like a snail it is hugging the river bank on the map. How ironic that it should be so close to Woden Hill, or is it? Or is this just another example of those ancient surveyors and their sense of humour? Hmmm………….seems those two things weren’t that simple after all, and Silbury Hill led me right back to those ancient map makers. This entry was posted in Ancient History and tagged ancient necklace, ancient thoughts, astronomers, Silbury Hill, surveyors. A friend of mine said of the many theories on Stonehenge, that each should be treated as valid however crazy, then set against each other with pros and cons. As always, a well researched article. Thanks Alex. Your friend is so right. Even though I have my own theories, Stonehenge really is still a mystery. Wouldn’t it be lovely to find some old scroll telling us all about it? Dream on, I guess…………..